Download & save popular online videos. To be fit for your mobile devices. YouTube to MP3 as ringtone. Constantly update to support latest movies & mobiles. ● Download videos & music from 300+ online video sites. 8K/4K/1080p. ● Convert among MKV, M2TS, AVI, WMV, MP4, etc. YouTube to MP3. ● 410+ profiles, convert videos to iPhone, iPad, Android, etc. ● Merge/Crop/Expand/Trim video, add subtitle. Slideshow maker. 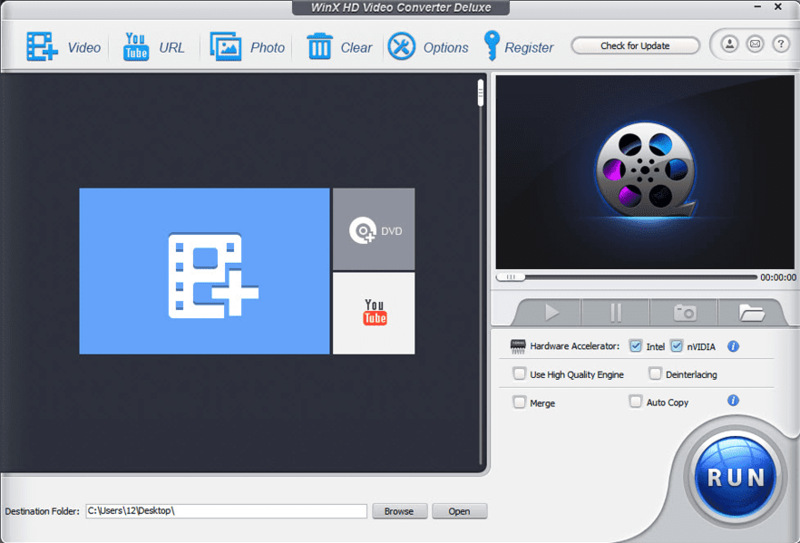 Why You Need This All-In-One HD Video Converter Software? 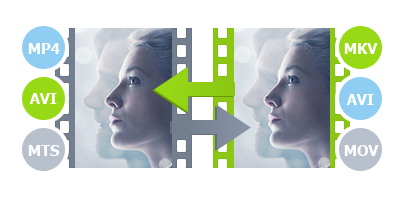 *NEW* Support Intel Quick Sync Video (QSV) and Nvidia NVENC tech, deliver 16x faster video processing speed. 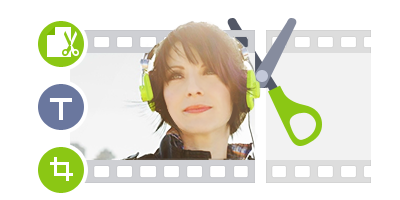 Convert HD/SD videos like MKV, H.265, H.264, MP4, AVI, FLV, 4K/8K, etc. 410+ profiles. Convert videos to iPhone, iPad, Android, Windows Phone, etc. Download from YouTube, Facebook, Vimeo, DailyMotion, Vevo, etc. 300+ sites. Save videos to FLV/MP4/WebM depending on the formats supported by the site. 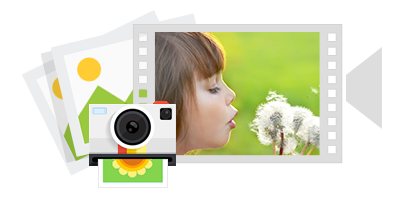 Create slideshow video from JPG/PNG/BMP photos. With 370+ built-in video & audio codecs, it lets you rest assured that all kinds of standard and HD and UHD videos can be flawlessly converted or compressed to fit your media players in an easy way, e.g. MKV to AVI/MP4, MTS/M2TS to MOV/MPEG, MP4 to AVI, WMV to H264, and extract music from video to MP3. Just to name a few. By supporting the world's most advanced Intel QSV, MMX-SSE, Nvidia CUDA/NVENC, Hyper-threading and AMD 3DNow! 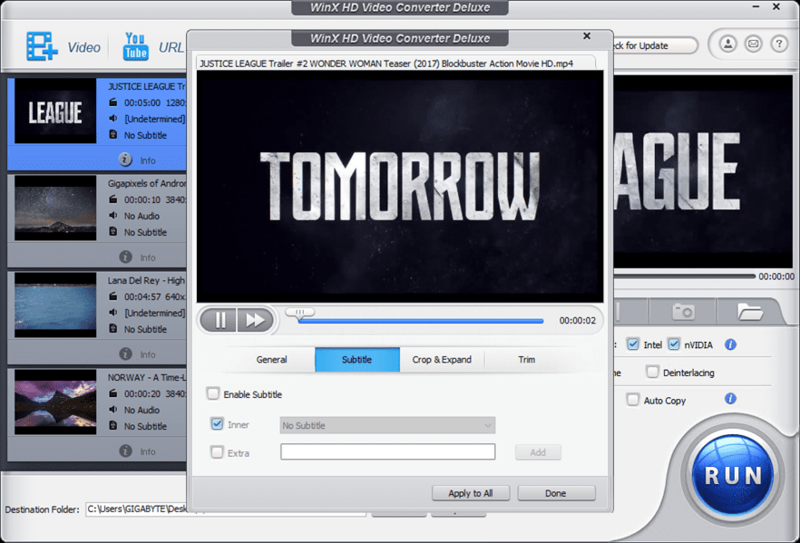 tech, WinX HD Video Converter Deluxe accelerates the conversion speed significantly, making itself the fastest tool to convert UHD 4K/1080p video and download online video. Accordingly, your PC is enabled to gaming, web browsing without burden while doing the conversion. Most people have the thoughts of playing videos in the journey, but no mobile phone can play all HD videos like M2TS and MKV. With this HD video converter for Windows (10), you can make any videos compatible with your console/portable players to enjoy them on iPhone, iPad, iPod, Surface, Windows Phone, Android tabs, phones, etc. With advanced Online Video Download Engine, it enables you to download sharp 2160p/4K videos and pop music video/audio files from YouTube, Yahoo, Facebook, DailyMotion, Vimeo, Vevo, SoundCloud etc. over 300 video sites in 30 sec, and convert them to AVI, MPEG, WMV, MOV etc. for offline playback, further editing or DVD creation. It has vivid video editing features for you to make video clips and cut black edges by trimming and cropping, or merge multiple videos to create a new one. More specially, besides enabling inner subtitle tracks, it allows you to add external SRT subtitle files that have been downloaded from the internet to videos before conversion. Get WinX Video Converter and bring your video to the right format immediately! WinX HD Video Converter Deluxe is the best tool to download (YouTube, Facebook) online video and convert MKV, HEVC/H.265, AVCHD, M2TS, AVI, MP4, etc. We constantly update this software to support new video formats and a growing number of devices by Microsoft, Apple, Google, etc. 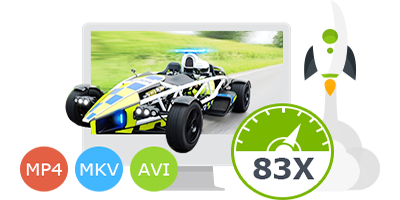 Enjoy incomparably stable, fast and high quality video conversion!